INGLEWOOD, Ca. 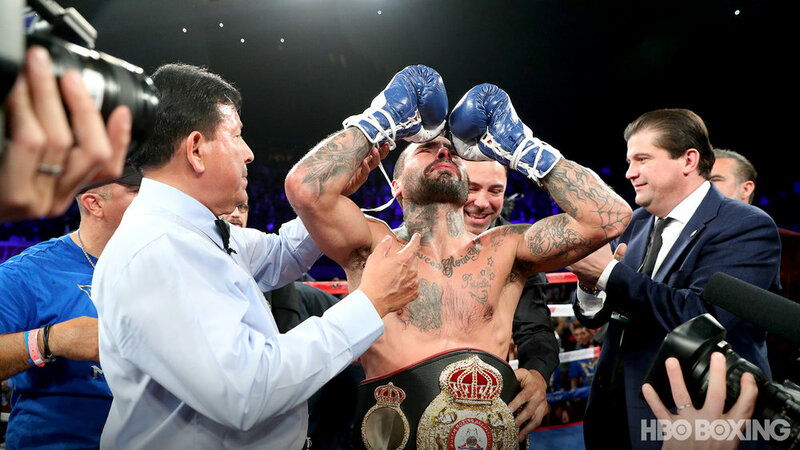 -- Lucas Matthysse knocked out a stubborn Tewa Kiram in the eighth round to score his second victory in a row in spectacular style and, frankly, rescue fans and viewers from a bout that had not exactly covered itself in glory. This was, for the most part, an ugly clash of styles, with Matthysse clearly the superior boxer but unable to land any definitive blow until the combinations that put Kiram down once and then a second time. Still, the quality – or lack thereof – of the first seven rounds will fade from memory; it is the knockout victory that will resonate with fans and live in the public record. Kiram (38-1, 28 KOs) entered the contest unbeaten but essentially unknown outside his native Thailand, where he had fought the entirety of his professional career. Video evidence suggested he had a strong, stiff jab and a decent straight right, but not much else; the question was whether the quality of those punches was exaggerated by the relative paucity of his competition to this point. The opening round certainly underlined the heaviness of Kiram’s jab and his strong reliance on it. The Thai boxer threw 31 punches in the first three minutes, of which just four were power shots; in rounds 1 through 7, Kiram landed precisely one, one, two, four, zero, one and one power punches, according to CompuBox. Not that Matthysse was landing with a great deal more frequency or effectiveness, but after taking a couple of rounds to figure out his opponent, and shipping a succession of thudding jabs as he did so, he steadily began to turn the screw, closing the distance, pursuing his foe and forcing him backward. In the process, he rendered the Kiram jab progressively less effective. Even so, Kiram had little evident intention of permitting Matthysse (39-5, 36 KOs) to simply tee off on him. He held Matthysse tight whenever the Argentine came too close for comfort, and stepped backwards and moved sideways to avoid the full force of Matthysse’s blows. He was aided also by the fact that the Argentine appeared to have less snap than usual to his punches – and perhaps to some extent by a substance that the California State Athletic Commission confiscated from the corner between rounds, the identity of which remains unknown at time of writing. Slowly but surely, however, Matthysse came closer and closer to his target; even so, the end was sudden. A strong left and follow-up right dropped Kiram hard on to his back under the ropes, where he initially appeared poleaxed and unlikely to rise. Rise he did, however, electing bravely to stand and trade with Matthysse until another left connected; Kiram threw a right in response but then crumpled anew to the canvas, where referee Raul Caiz Jr waved off the contest without a count, and where Kiram lay for some time while attended to by ringside physicians. 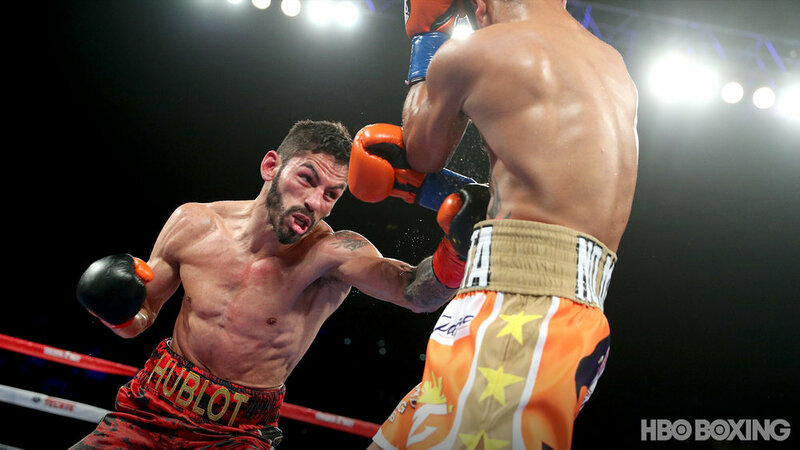 For the second straight fight, Jorge Linares was taken the distance by a tough southpaw opponent at The Forum. But whereas the Venezuelan needed to dig out the twelfth round to secure victory against Britain’s Luke Campbell last September, he retained his lightweight belt with more room to breathe against Mercito Gesta of the Philippines on Saturday night. Which is not to say that Gesta did not offer stiff resistance – he did, although the scores of 118-110 (twice) and 117-111 might, taken at face value, suggest otherwise. Gesta was solid and determined, made several rounds close, frequently cracked Linares with a solid right hook, and was rarely hurt by Linares’ clean punching. 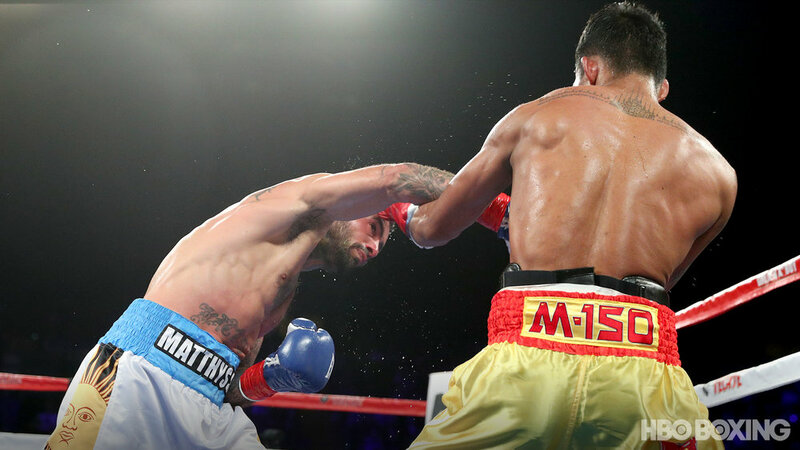 But Linares (44-3, 27 KOs) simply occupied a higher class; whereas Gesta’s punches were clean and strong, Linares’ were more multitudinous, more accurate and thrown from a greater variety of angles. 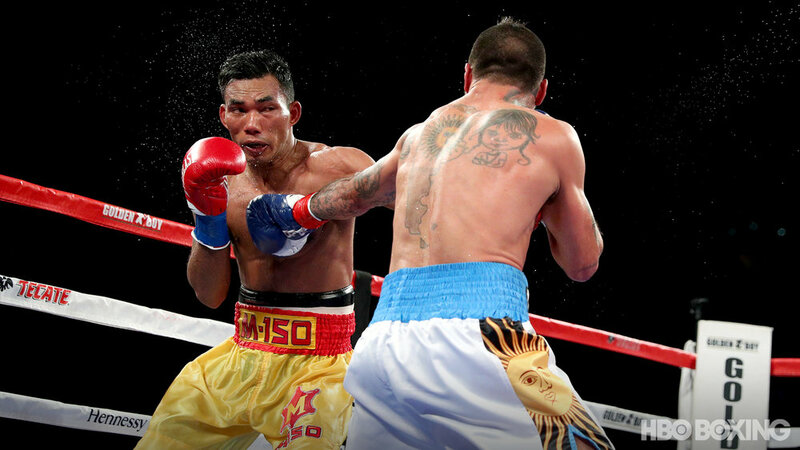 There was simply more finesse, more sophistication to the Venezuelan’s game; Gesta’s offense was somewhat more predictable, whereas Linares might pause, look as if to throw a straight right and then suddenly launch a left uppercut instead. Gesta (31-2-2, 17 KOs) simply didn’t have that kind of skill at his disposal, and that ultimately was to a large extent responsible for the gulf in class and points. Still, Gesta came out of his corner in the first round determined to make an impression, firing fast combinations and pushing Linares on to the back foot. 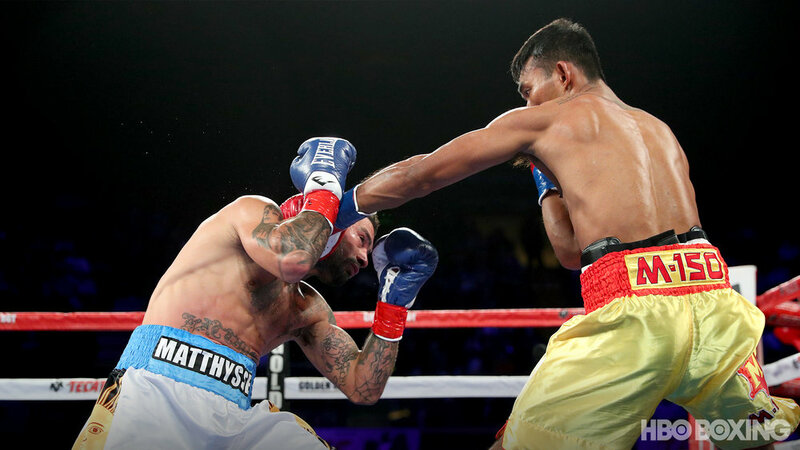 Linares rarely looked troubled – in fact, remained poised behind a tight guard – but the Filipino wasn’t given him much room or time to work. Gesta likely took that opening round, and may have shaded the second as well, but in that sophomore frame Linares began to dial in some short straight rights. By the third, he was in a groove, ripping combinations to body and head, and although Gesta mugged and shrugged with each clean, hard blow that landed, the effect, rather than minimizing the punches’ impact, as to underline that they had landed with accuracy and ferocity. For the next several rounds, Linares was on his toes, constantly moving, letting combinations go with lightning speed, switching his assault from head to body and back again. In total, Linares landed 171 out of 585 punches thrown over the course of the fight, while Gesta threw 515 and landed 120 – significant differences, but not necessarily overwhelming. Again, however, raw numbers alone don’t tell the full story. Linares’ punches landed more cleanly and with greater impact; although Gesta was able to make some of the later rounds closer, he didn’t have the guile, speed or power to turn the fight around. Although trainer Freddie Roach implored him before the twelfth to give him the best three minutes of his life, he was able only to summon a round that was good, but not good enough. For Gesta, it is his second failed attempt to win a world title, five years after the first. He fared much better this time around, but it may not be sufficient for him to gain a third opportunity. For Linares, it is now 13 wins in a row, and more enticing match-ups surely lie ahead.